The latest edition of Sports Illustrated features a statuesque image of Saints quarterback Drew Brees on the cusp of one of his record-setting, scratch that, records-EXTENDING throws. There’s as much talk about Brees finally securing the coveted NFL MVP accolade that has curiously evaded his grasp throughout his Super Bowl-winning, record-shattering, first-ballot Hall of Fame career as there is about number Nine and his team scoring the elusive and long overdue Two Dat. 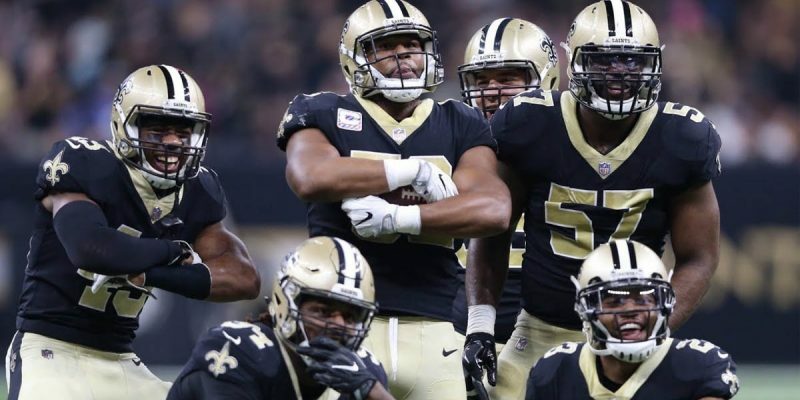 The Saints offense is achieving amazing things in the air and on the ground and the defense has been frustrating some of the best athletes on the field. In terms of Saints football, 2018 doesn’t feel like 2011. It feels more like 2009 when the Super Bowl-bound Black and Gold went on a remarkable 13-game winning streak, a run that included incredible comebacks against at Miami and Washington and blowout wins against the Eagles and the Patriots. The Saints willed their way into snatching victory from the jaws of defeat and obliterating opponents who could not keep up with the Payton-Brees turbocharged offense. Going into week 15 the Saints were 7.5 point favorites over their next opponent, the Dallas Cowboys. Easy peasy, right? Not so much. It would be an understatement to say that game did not play out ideally, ending the winning streak, the chase to match the mythical ’72 Dolphins, and endangering the Saints’ hopes of locking up the number one seed in the conference. Drew’s Krewe 2.0 head into the Big D a favorite by a similar margin on Thursday night and while the Who Dat Nation has all the confidence in the world, the Cowboys aren’t a pushover. Leading their division and possessing a modest but noteworthy winning streak of their own (three games), the living-large Cowboys hung 40 points on the Jacksonville defense and the addition of wide receiver Amari Cooper to their offense has proved to be a difference-maker, snagging 8 receptions for more than 180 yards and two touchdowns against the Redskins last week. And Dallas’s primary offensive weapon, running back Ezekiel Elliott, leads the league in rushing yards with 1074. And as prolific the Cowboys have been on the ground, they’ve been stingy on the scoreboard, with their defense allowing the third fewest points of any team in the NFL. Don’t think for a second that the Cowboys’ fan base are afraid of the Saints; they savor the opportunity to knock off what is arguably the best team in the NFL. They remember the 2009 game. And if you don’t believe me, just look at the Cowboy players’ statements that I am sure Sean Payton has made into motivational origami. For the Saints, the visit to AT&T Stadium marks the first mile-marker of a tough five game grinding conclusion of the regular season schedule. After ambling (or stumbling) out of Arlington, the Saints travel to Tampa to hopefully repay the early scar the Buccaneers carved on the Black and Gold’s won-loss column. And that is followed by another road trip to an NFC South rival, the Carolina Panthers, on Monday Night Football. Hopefully by that point the Saints will be playing for seeding and not the division as the Black and Gold can lock up the NFC South with two wins, two Carolina losses, or a split as Nola’s magic number for the division stands at 2. If the Saints beat Dallas, they will have eliminated the Cowboys as a threat for a first week playoff bye and would bring their own magic number for a straight lock up for that important advantage against the Bears to 3. Next week I’ll dive into the Byzantine seeding tie-breakers for playoff seeding with Chicago (the Saints own a clean tiebreak against Los Angeles due to the win in the Superdome). The Saints then close out the regular season in the Superdome hosting the schizo Steelers and a Panthers game when hopefully Teddy Bridgewater is taking the snaps. Payton is going to have to curb his ego when it comes to playcalling and coach to ice the win and not infuriate the fans. Sloppy Taysom Hill trick plays should be shelved…at least until the fourth quarter with the stadium emptying of those sporting blue and silver. The key to winning is putting the burden on Dallas quarterback Dak Prescott to play catch up and ensuring Elliott doesn’t factor as much into their offense. Brees and his offense need to score early and often while the defensive front seven have to stop the Cowboys stud player from making big plays on the ground. The Cowboys are going to be a grueling test for the Saints and not a laugher. Now matter how many times Bobby Hebert calls them the Cowgirls.